Although in my mind I’m still 21 my actual physical age is 25 and unfortunately I’m already noticing some fine lines appearing. Perhaps one day soon the fountain of youth will get discovered and all our skin worries will go away forever but until then here’s my current favourite skincare products that that keep my skin, smooth, subtle and moisturised. I have sensitive combination skin which can be prone to breakouts so I have to be careful which products I use on my face. It’s actually taken me awhile to find the products that really work for my skin and I like them so much I decided to share them with you! This mask contains almost a 100% pure clay formula which is great for drawing out toxing and impurities out of the skin. It leaves my skin looking instantly smoother and glowing. I tend to use it once or twice a week. I heard so many bloggers raving about this product I just had to learn for myself if it was worth all the hype. Spoiler alert: it totally is! After using it for about a week or so my skin started looking smoother than I have ever remember it being. I remember the first time I really noticed I couldn’t keep looking at myself in the mirror. The bottle lasts a surprisingly long time too. I’ve had it for a couple of months now and I still have lots left. I discovered oils about a year ago and haven’t looked back since. It’s an amazing way to replenish and look after your skin whilst you sleep. I was worried that using this oil would result in breakouts but I’ve been absolutely fine. It’s a 100% natural formula which has been perfect for my sensitive skin. I find that using it has made some of my fine lines less visible and my skin feels very supple every morning. It seems that the oil I have has been replaced on the site for a version which has a different ingredient but the description is exactly the same so I don’t think there will be much difference. This concentrate is great for skin showing first signs of ageing. 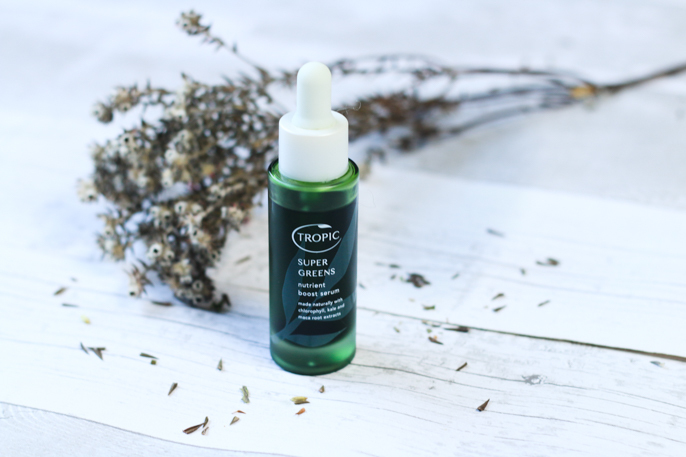 After using it my skin feels really refreshed and revived it’s also minimised the look my lines around my eyes and forehead. I like it so much I’m actually on my second bottle. I’ve recently invested in the face wash from the same line and I like it but I definitely prefer the concentrate. 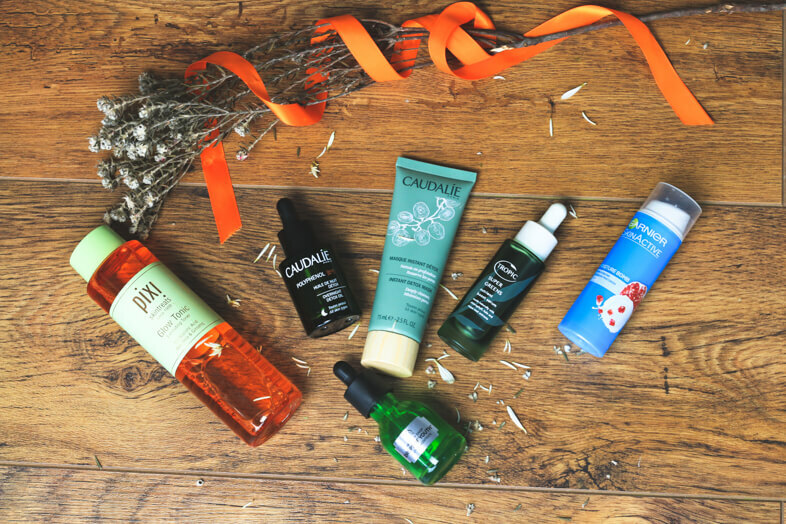 The Bodyshop website has some really good discount deals so keep an eye out for an offer. This serum is 100% natural and helps to deliver a boost of vitamins to the deeper layers of the skin. It’s ingredients include kale, maca root extracts and chlorophyll. It’s great for moisturising and improving the overall health of the skin. I alternate between using this and the Caudalie overnight oil before going to sleep every night. I’ve recently got this product for my mum for Mothers day as she liked the look of it. The mascara she was using made most of her eyelashes fall out so she decided to apply this serum to her eyelashes as well as her face and swears by it! She’s informed that her eyelashes have grown back quickly and longer and stronger than before. The one downside to it is the smell, I don’t think it’s particularly pleasant, it smells like a lot of vegetables blended together but I got used to it pretty quickly. 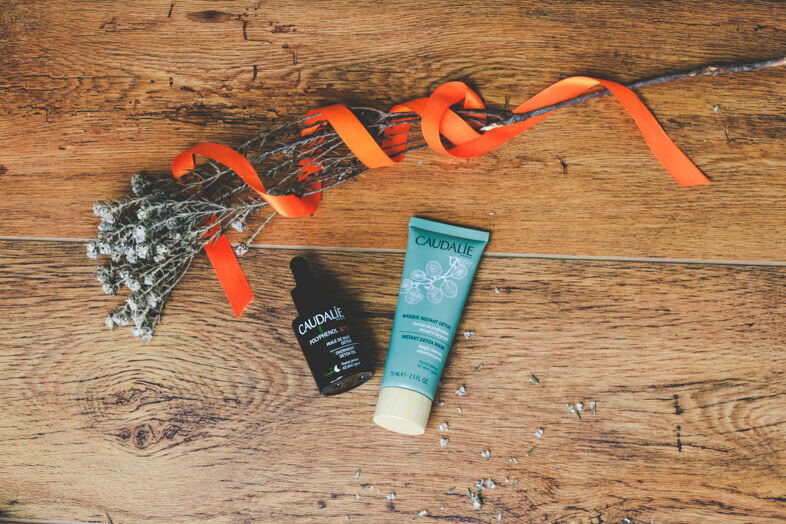 Having combination sensitive skin means that I’ve really struggled to find a daily moisturiser that I can use all over my face without getting a rash or breakouts on my t-zone. It’s super light in texture, and it doesn’t leave my skin feeling oily but still feels deeply moisturising. It contains a high concentration of plant serum and antioxidant super fruit extracts, it’s also SPF 10 so it offers UVA/UVB protection too. I’m on my second bottle and I love it! Haha I totally agree about the smell of the Tropic one, but I kinda got used to it fast. Gonna be trying this on my lashes now (thanks Mummy Dei). Don't you just love the detox mask? I adore how sleek my face feels after using it. I love the pixi toner - def try the double cleanse from the same range...it's a def winner!! I really really need to start thinking about a skincare routine. I'm 27 and still don't really have one. I've heard amazing things about the pixie brand too! 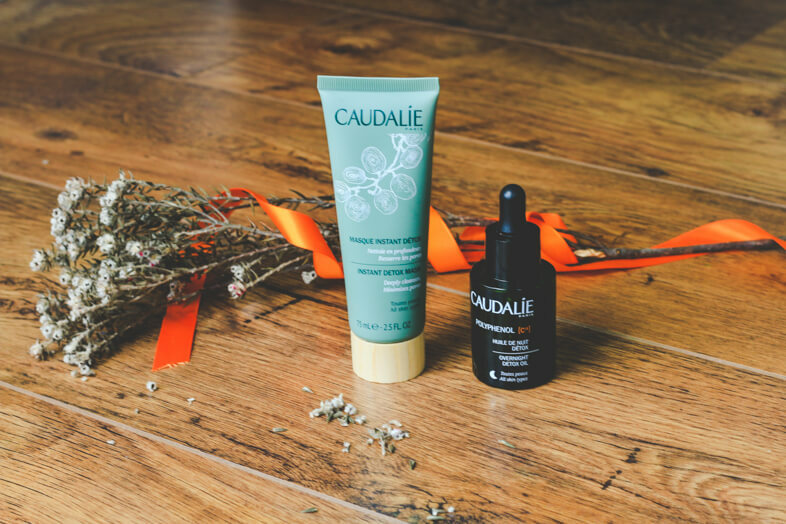 I love Caudalie products, I've only tried the Vinosource range but I want to try more. My mum said the same to me - she started her regime at 18 and she has AMAZING skin now! Yes, it really works. Aging is the natural process and we need to accept that. But not do nothing for it, is not good. A few years ago I've suffered from aging signs problems. And I don't know what is the best cream for it. I just waste my money on expensive creams that really not works for me. But one of my close friend suggest me to use lifecell skin cream, and it really works for me. It overcomes my fine lines and wrinkles too.